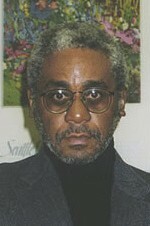 Charles Johnson is the Pollock Professor of English, now emeritus, at the University of Washington. He is the author of 21 books over a 50-year career and the recipient of numerous other awards and honorary degrees. 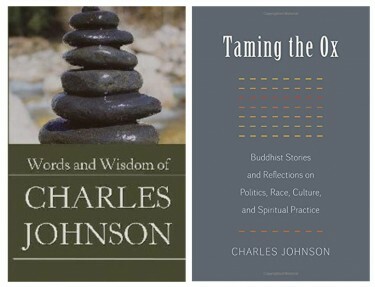 “The Words and Wisdom of Charles Johnson” reflects a year of questions posed to you by poet and teacher E. Ethelbert Miller and ranges across more than 600 pages. How did this unusual collaboration come about? CJ: At the beginning of 2011, Ethelbert approached me with a proposal to ask me questions covering a wide range of topics for an entire year. He asked me 400, and of those I answered 218, often at length in the form of mini-essays on virtually every subject under the sun — writing craft; literature black and white; Buddhism, Taoism, and Hinduism; Western philosophy; cartooning and the visual arts; the martial arts; the film work I did for 20 years for PBS and Hollywood studios; the practice of meditation; the civil rights movement and Martin Luther King Jr.; my personal life and habits — you name it. For me, it was a real brain dump. There’s no book like this anywhere in world literature — a very candid, detailed look into a writer’s mind and heart and journey through this life. It was a fascinating challenge for both of us. 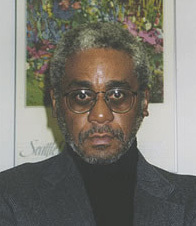 Ethelbert had to read all my novels, stories, essays, book prefaces and introductions, and because he is an arts advocate and chairs a liberal think tank in Washington, D.C., the Institute for Policy Studies, many of his questions have a political flavor. Really, the 672-page “Words and Wisdom” is as much his book as it is mine. Elisheba and Charles Johnson will soon release “Emery’s World of Science,” a K-12 calendar highlighting the achievements of African-American scientists. It will be available online at Amazon and Barnes and Noble. You started as a cartoonist. 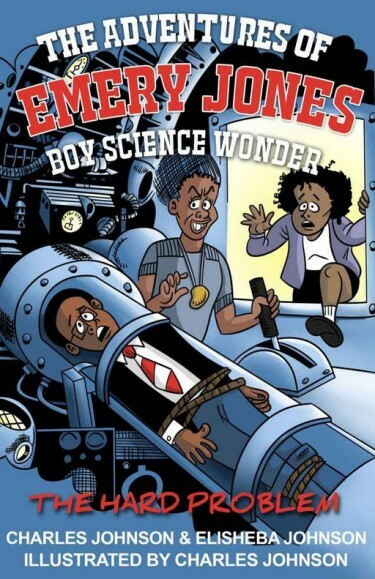 Now you have returned to cartoon illustration for the “Adventures of Emery Jones, Boy Wonder” series that you co-write with your daughter, artist Elisheba Johnson. The second of these books, “The Hard Problem” is now available. What was it like to draw professionally again? CJ: Being able to draw professionally again for publication has been a blessing for me. Between 1965 (when I was 17) and 1972, I worked intensely as a professional illustrator and cartoonist, publishing thousands of drawings as a college undergraduate, everything from comic strips to panel cartoons and editorial cartoons. My work appeared in the black press (Black World, Jet, Ebony), The Chicago Tribune, a newspaper in southern Illinois, and really everywhere I could find. Two new titles by the prolific Charles Johnson, UW professor emeritus of English. I also published two books, “Black Humor” (1970) and “Half-Past Nation-Time” (1972), and I did one of the early how-to-draw TV shows, “Charlie’s Pad” (1970), which ran on PBS stations all over the country. But when I transitioned into working on my Ph.D. in philosophy in the early ’70s, then teaching in an English department for 33 years, those fields and the book world never gave me an opportunity to draw, which was my first love since childhood. When my daughter and I began “Bending Time” in 2012, I hadn’t drawn for publication in three years. But our illustrator bailed on us at the last minute so I had exactly 18 days and nights to dust off my ink pens and do the 10 drawings. But that got me back into the swing of things. I did 20 for “The Hard Problem” and spent an entire year — at Elisheba’s suggestion — drawing a weekly, science-based “Emery’s World” cartoon to promote our series on social media. It’s been wonderful, like a homecoming, or returning to my creative roots. Another blessing — and every artist-father’s dream — is the experience of creating a series of children’s books (though they’re certainly for adults, too) with my artist-daughter. We’ve been told that the Emery Jones series is the first black, father-daughter fiction collaboration. The main character is named after her son, my grandson, Emery, who is now 3 years old. You’ve said that the old adage, “90 percent of writing is rewriting” pertains to your work as well. But is the process different when you and your daughter co-write the Emery Jones books? 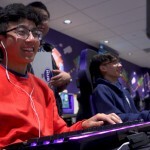 How does that collaboration work? CJ: When we co-author the Emery Jones books, I ruthlessly revise the prose passages I compose, as I do with anything I write. But I don’t touch the prose or poems Elisheba contributes (she has two poems in “The Hard Problem”), though she will revise my lines if she doesn’t like something. With these children’s or young adult books, I trust her language and thoughts because she’s closer to the way young people and kids think and feel than I am. 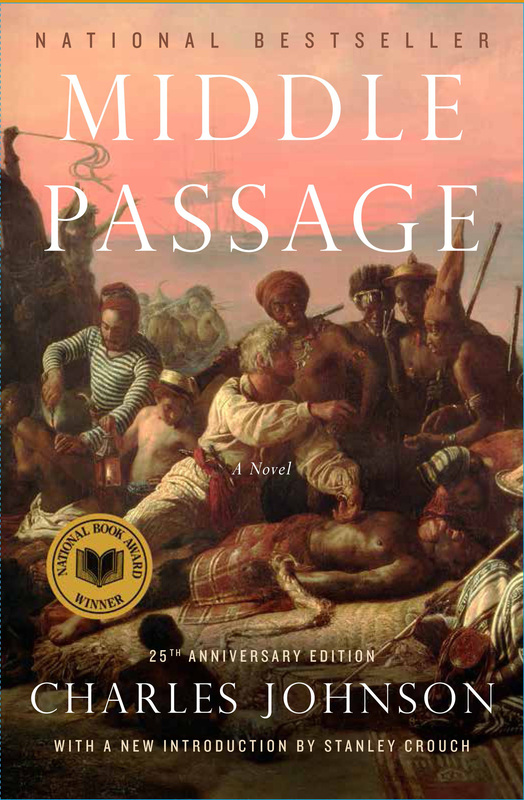 Charles Johnson’s novel “Middle Passage,” which won the 1991 National Book Award for Fiction, is getting a 25th anniversary release this year. Your 1990 novel “Middle Passage” won the National Book Award for fiction. The New York Times called it “fiction that hooks into the mind.” Did the success of that book change your life or work? CJ: My publisher is releasing this year a “Scribner Classic” edition of that novel to celebrate its 25th anniversary, with an introduction by cultural critic Stanley Crouch (who was my guest the night of the National Book Award ceremony in 1990), a new cover and new quotes about it from other writers. Receiving that national fiction prize — only the second time a black male writer had gotten it after Ralph Ellison for “Invisible Man” in 1953 — catapulted my “career” (a word I dislike because I don’t like to think of myself as “careerist,” but simply as someone who loves to create). But my family has always been more important to me than anything in the art, literary or academic worlds. So my life, work and reasons for creating have remained the same since I began publishing stories and drawings 50 years ago. In “Taming the Ox” you discussed Barack Obama in 2008 when his presidential campaign was gaining momentum. You described the “Obama phenomenon” as “not so much revolutionary as it is potentially evolutionary,” from a Buddhist perspective. Now, late in the president’s second term, how do you think that evolution has gone? As his second term draws toward an end, there are certainly paleo-racists out there, real Neanderthals, who are still fixed on this bi-racial president’s “race,” but generally I think most people have been more concerned with his daily performance as the president and his policies rather than how much melanin he has. I see that as incremental progress. But does that mean we’ve entered what some people call a “post-racial” period in American history? I think not. “Race” is still a lived-illusion for far too many people. Finally, scholars pronounce the concept of The Novel dead every decade or so, yet readers continue to enjoy fiction. What do you think is fiction’s current state of health? 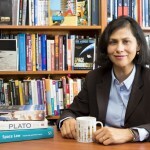 CJ: If we judge the health of fiction by the amount of novels being produced today, which is enormous, with so many authors self-publishing or using nontraditional ways to get their work directly to readers, then I think we would have to conclude that this is a robust period for literary creation of works good, bad, and ugly. Readers will always enjoy good, imaginative storytelling, which is as old as humanity itself. And the English (and American) novel is just one form of storytelling, albeit one that is capacious and capable of assuming many forms of narrative art since Samuel Richardson’s “Pamela” in 1739, Daniel Defoe’s “Robinson Crusoe” in 1719, “Moll Flanders” in 1722, and “proto-novels” such as Malory’s “Morte d’Arthur” (1485) and Cervantes’s “Don Quixote” (1605-15). Really, what we call the novel is too much of a shape-shifter to ever die.